This screening features the premiere of Sarah Pucill’s new film exploring the work of surrealist Claude Cahun. 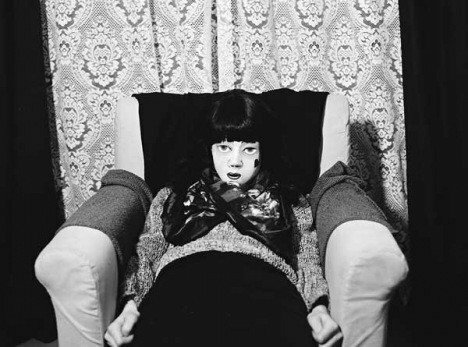 Part essay, part film poem, Magic Mirror translates the startling force of Claude Cahun’s ouvre into a choreographed series of tableaux vivants. Re-staging the French Surrealist’s black and white photographs with selected extracts from her book Aveux Non Avenus (Confessions Untold), the film explores the links between Cahun’s photographs and writings. Cahun’s multi-subjectivity, as expressed in both her photographs and book, set the scene for the film, where she dresses and makes her face up in many different ways, swapping identities between gender, age and the inanimate. Three women masquerade as Cahun’s characters: often it is hard to tell them apart. The splitting of identity appears as a double which persists throughout; as literal double through super imposition, as shadow, imprints in sand, reflections in water, mirror or distorting glass. Likewise, the voice is split between differently dressed voices, which at times overlap, and at times are in conversation. The kaleidoscope aesthetic that runs through the film serves not only to weave between image and word but also between the work of Cahun and the films of Sarah Pucill, creating a dialogue between two artists who share similar iconography and concerns. The screening will be followed by a discussion between Sarah Pucill and writer, curator and artist David Campany. Contemporary artists increasingly are using animation techniques in a wide variety of approach and style. This international and eclectic programme celebrates the unpredictable processes of experimental animation, with a focus on how animation as a labour intensive process and form is being applied in the creation of conceptual artworks. It includes films by Geraint Evans, David Theobald, Inger Lise Hansen, James Lowne, Nathaniel Mellors, Emily Richardson, and Chris Shepherd, and the title is taken from a work by Yu Araki in which images of horses, appropriated from the internet, reference the pre-cinema animation of Eadweard Muybridge. The screening is followed by a panel discussion on the ways in which contemporary artists approach, appropriate and apply animation techniques in their work. 971 Horses and 4 Zebras is co-curated by artist Jordan Baseman and Gary Thomas (Animate Projects). 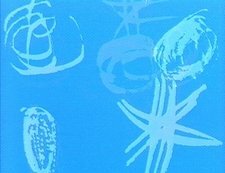 An exhibition runs at Wimbledon Space, Wimbledon College of Art, from 2 November – 9 December 2012 and tours to CAST (Contemporary Art Spaces Tasmania), Monash University Museum of Art, Melbourne, Australia, and The British School at Rome, in 2013. Jeff Keen (1923-2012) was a pioneer of experimental film whose rapid-fire animations, multiple screen projections and raucous performances redefined multimedia art in Britain. This major installation for The Tanks at Tate Modern was conceived by Keen in response to the unique nature of the Tanks. Featuring a large, dioramic screen, the installation will demonstrate the spirit of Keen’s expanded cinema events, his early experiments in drawing, painting and animation, his fascination with surrealism and popular culture, and his radical development of multiple screen projection, cut-up soundtracks and unruly live action. A very special live performance in the Tanks on Friday 21 September at 20.00 will feature projections and live music and actions performed by Keen’s daughter Stella Starr and a range of Keen’s collaborators, including Alan Baker, Chris Blackburn, Rob Gawthrop, Mike Movie and Jason Williams as ‘Silverhead’. Seminal American experimental filmmaker Barbara Hammer is the protagonist of a month-long retrospective at the Tate Modern (3-26 February). The nineteen programmes that comprise this almost-complete survey of her work include from her latest films as the premiere in the UK of Maya Deren's sink (2011) to some of his earlier super-8 films that have been rarely screened. Hammer will also re-enact her 1979 performance Changing the Shape of Film in the Turbine Hall and present three performative lectures on different aspects of her work. Theretrospective will combine Hammer's films with the works of other filmmakers whom Hammer considers crucial influences on her own work, such as Maya Deren, Chick Strand, Stan Brakhage, Shirley Clarke, Gunvor Nelson, Chris Welsby, Gina Carducci, Cecilia Dougherty, John Greyson, William E Jones, Liz Rosenfeld, Emily Mode, Scott Berry, Kirstin Rossi and more. In conjunction with Tate Modern’s exhibition Exposed: voyeurism, surveillance and the camera (until 3 October 2010), this film programme explores ways in which artists have used the camera to draw attention to a society mediated by permanent observation. It looks at how the camera has been used as a weapon, as a tool to reveal moments of privacy, and as a means of creating cultural icons. Featuring the premiere of William Raban’s About now MMX, as well as work by Javier Aguirre, Peggy Ahwesh, Fikret Atay, Michel Auder, Samuel Beckett, Bureau of Inverse Technology, Jean Colom, Harun Farocki, Coco Fusco, William E Jones, Helen Levitt, Yoko Ono, Chris Petit, Nicolas Provost, Julia Scher and Andy Warhol. Curated by Cristina Camara and Stuart Comer. The futurists loved film. They saw film as the art form that was best suited to capturing the complex sensibility of their time. Participants in this practical workshop will explore the ideas of the Futurist Cinema Manifesto, look at contemporary practice inspired by them and end up making their own short films. On day one, no.w.here tutors and participants view historical and contemporary work by Paul Sharits, Samuel Beckett, Nicky Hamlyn, David Dye, Tony Conrad and Steve Farrer amongst others. After a visit to the Futurism exhibition, a practical session devoted to shooting techniques with standard 8 and 16 mm cine cameras will follow. Participants will use these cameras to film in the afternoon. Between sessions participants will be encouraged to use one of the aims of the Manifesto as an inspiration for making a short film. This work will be screened on day two, followed by further opportunities to practice shooting and developing film at no.w.here lab. All participants plus family and friends are invited to a screening of their film creations in the Starr Auditorium at Tate Modern on 17 July. This workshop is open to beginners and experienced practitioners. For tickets book online or call 020 7887 8888. 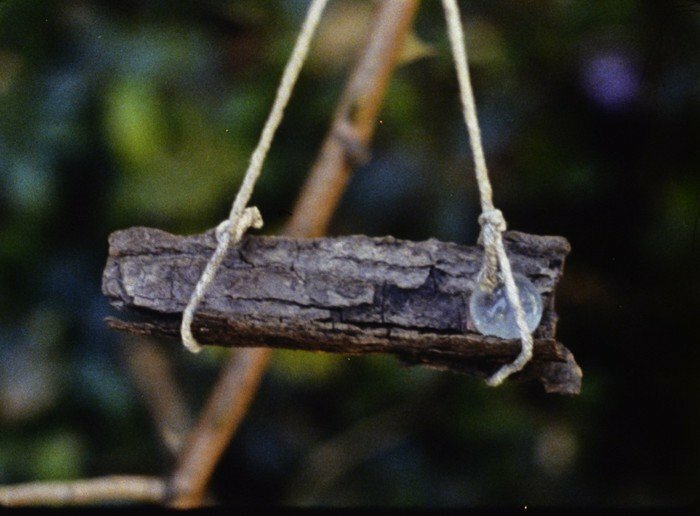 This special programme marks ten years since the death of acclaimed Scottish filmmaker Margaret Tait (1918-1999) and brings together her first film made on her native Orkney, A Portrait of Ga (1952) and her last film also made on Orkney, Garden Pieces (1998). Also featured is one of her rarely screened longer works, On The Mountain (1974) which has at its centre the changes to Rose Street, Edinburgh where she had a base for many years and features within it her earlier film Rose Street (1956). Happy Bees (1955) filmed from child height is of her nieces and nephews. The programme opens with a fleeting image of Margaret herself filmed in 1995 by the visiting filmmaker Ute Aurand. In The Leaden Echo and the Golden Echo (1955) she matches images to her own reading of the poem by Gerard Manley Hopkins. To resonate with these works a selection of Margaret Tait's poems will be read by the writer Ali Smith. 'A writer whose openness of mind, voice and structure all come from the Beats maybe, and Whitman crossed with MacDiarmid, but then cut their own original (and crucially female) path. A unique and underrated filmmaker, nobody like her. Born of the Italian neo-realists, formed of her own Scottish pragmatism, optimism, generosity and experimental spirit, and a clear forerunner of the English experimental directors of the late twentieth century. A clear example of, and pioneer of, the poetic tradition, the experimental tradition, the democratic tradition, in the best of risk-taking Scottish cinema.' Ali Smith.